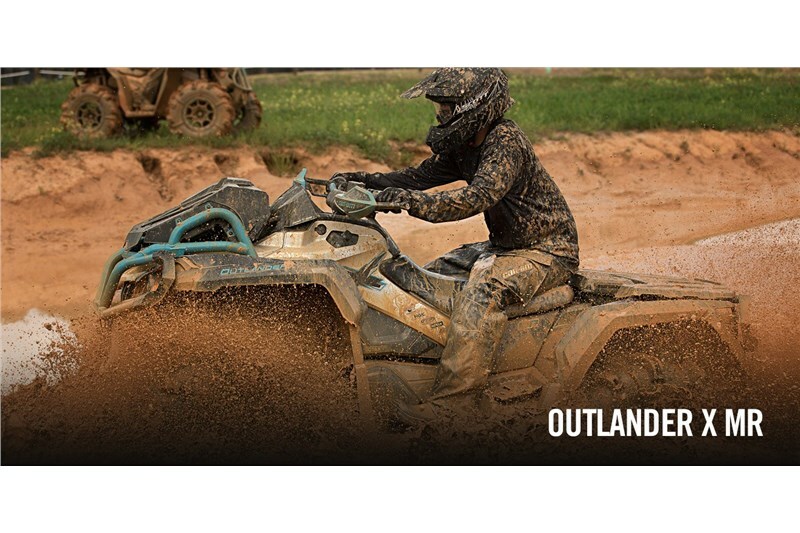 With its 51-inch wheelbase, the Outlander 850 X mr is light and easy to control. 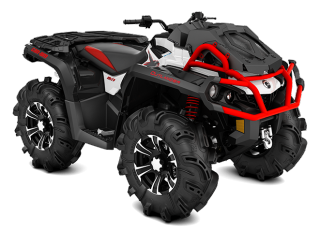 Plus its class-leading power lets you get into deep mud and know you’ll get out the other side. The 850 cc liquid-cooled Rotax V-Twin powerplant produces 78-hp. With electronic fuel injection, the state of the art 4-valve single overhead cam engine is efficient and invigorating. 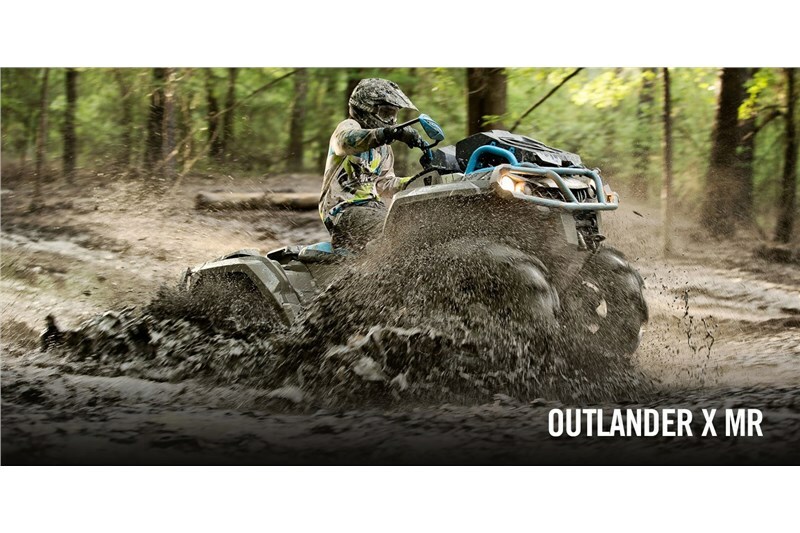 Located in place of the front rack, the Can-Am Outlander X mr's radiator is kept out of the mud and wears a protective, vented cover, ensuring you'll be able to enjoy all-day rides in deep goop. The large, efficient radiator offers approximately 22 kW of cooling capacity. Designed by Gorilla Axle for mud riding and racing, these tires were developed to go in the deepest mud holes. Installed on large 14-in. ITP SS312 cast-aluminum wheels to give an aggressive look. All DPS-equipped models have Visco-Lok† QE, which has all the features and benefits of the standard quick-engagement Visco-Lok† differential, but with an even quicker engagement point. This differential, unlike some competitors' differentials, does not have a speed limiter. 88 x 50 x 51.5 in.